The story continues where the first season left off only months into the future. Yuokai Gakuen has been repaired and the new semester is underway. Tsukune and gang are back, and more powerful then ever. Anti-Thesis's true identity is relieved. With new adversaries looming on the horizon, and something much more sinister then the gang has ever faced before. Tsukune is battling with the monster inside him. With the help of Moka, Mizore, Kurumu, Ruby, and Yukari. 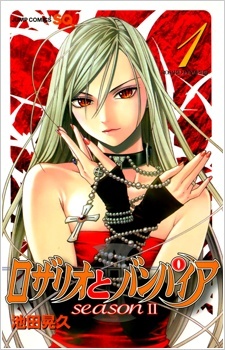 Tsukune trains to get his vampire blood under control and the strength to protect what he holds dear.